I love salsa: salsa roja, corn salsa, pico de gallo, mango salsa, I’d be happy to eat salsa every single day. But I think salsa verde might just be my favorite. 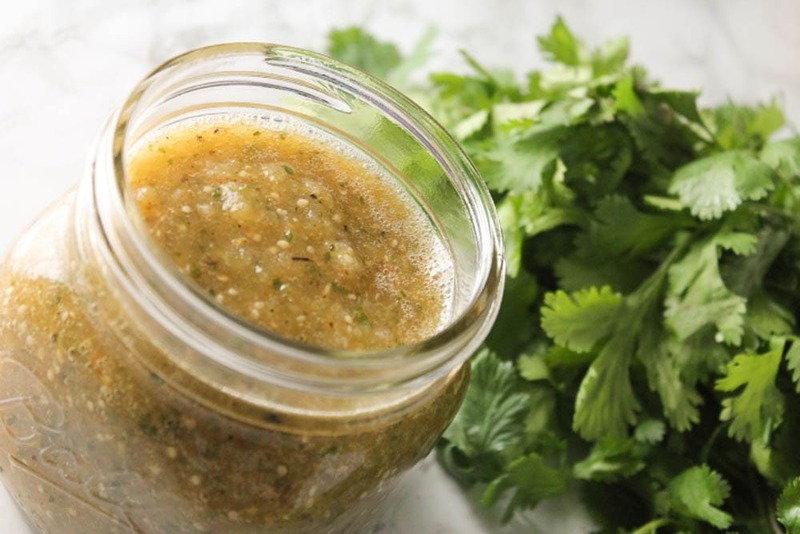 I bought salsa verde for years without thinking about making it myself, for some reason I always thought it was going to be difficult or require complicated ingredients. Last year my family planted a large garden for the first time and we made salsa verde from our own homegrown tomatillos. 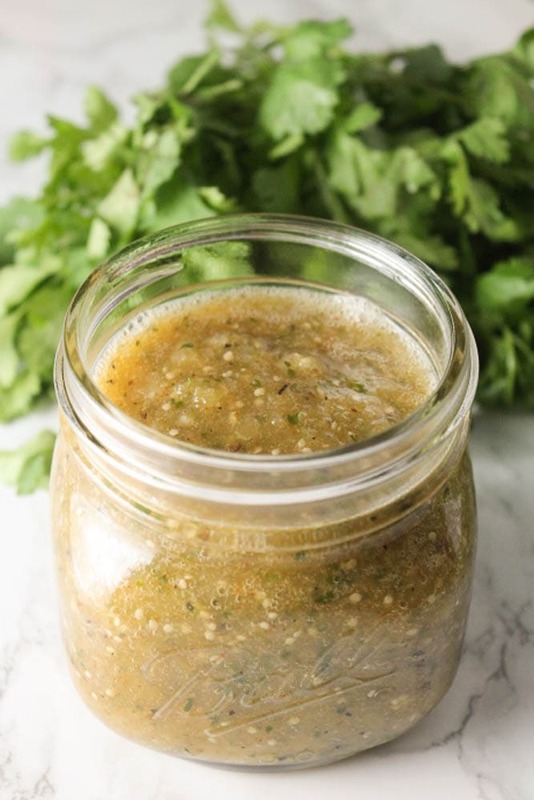 It was hands down the best salsa verde I’ve ever had, and I couldn’t believe how easy it was. After that summer I’ve never gone back to store-bought salsa verde. 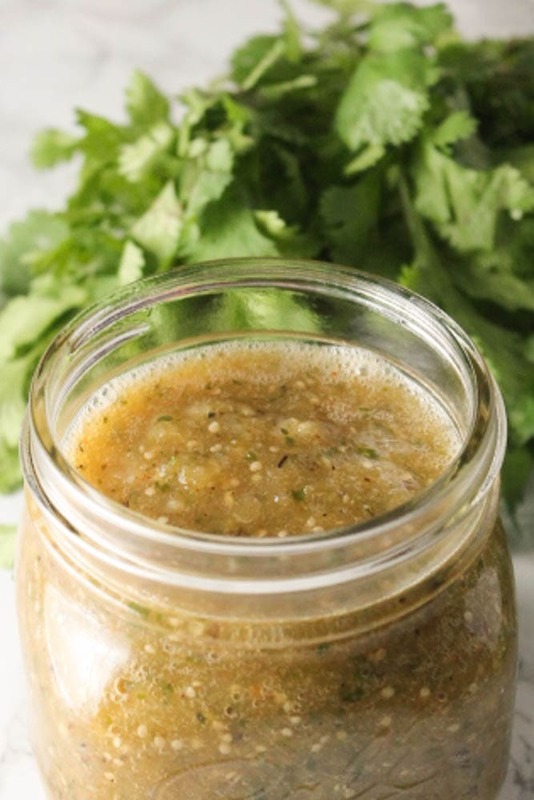 While traditional red salsa is tomato based, salsa verde is tomatillo based. If you’ve never cooked with or purchased tomatillos, they’re those small green tomatoes with husks on them. They’re not actually tomatoes, just a member of the tomato family and they have a bright, fruity flavor that I think comes out especially well when they’re roasted. I use this salsa verde to make on of my family’s favorite weeknight dinners: salsa verde enchiladas. But of course, if I make it for enchiladas I have to make a double batch so we have enough for snacking on chips and salsa as well. It’s also great for tacos or burritos, on eggs, chicken, or almost anything. Pre heat broiler on high. Place tomatillos, onions, and the Serrano pepper on a baking sheet lined with aluminum foil. Place the pan directly under the broiler and broil for 5 minutes, until black spots start to appear. Remove the pan from the oven, and using tongs quickly turn over the tomatillos and the pepper. Place back in the broiler and broil for an additional 5 minutes. Remove the pan from the oven, place all ingredients in a food processor, and blend until mostly smooth.